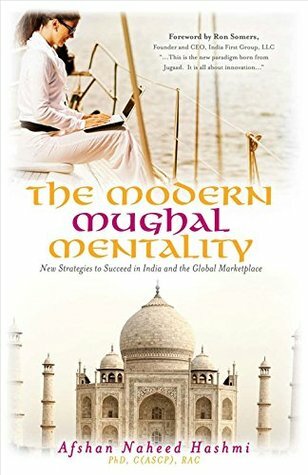 I could see in many parts of the movie the philosophy of Jugaad a Hindi word of creativity and Innovation in action on which my book is based The Modern Mughal Mentality-New Strategies to Succeed in India and the Global Marketplace . I mean I have conceptualized Jugaad as “obtaining your objectives by maximizing resources through thinking out of the box.” To quote an instance of thinking outside the box to maximize your resources is when the main lead from Ireland, young Eilis Lacey (Saoirse Ronan) comes to pursue better opportunities in America to become successful. The movie offers a story of a dream of a young, single woman crossing an ocean to find employment and respect in America. In 1950s Ireland, young Eilis Lacey (Saoirse Ronan), leaves for New York with the help from a local priest who has already made his journey to America. She moves into a boarding house filled with other Irish girls, which is run by a reliable and impressive Mrs. Kehoe . Eilis Lacey got a job at a glam department store. In the night she takes her classes of book- keeping to become an accountant. Ellis is hard working girl who is pursuing her American dream to become successful. She meets a young Italian-American plumber, Tony (Emory Cohen) and the two fall in love. Tony introduces Eilis to some American culture and even introduces her to his family. You will instantly fall in love with Tony's youngest brother. The movie is most part Eilis’s transformation from an Irish girl in America to an Irish-American. A family tragedy forces Eilis to go home, and unexpectedly, all of the pieces of her life fall into place. With her American education, she’s offered a bookkeeping job, and is soon set up with the most eligible bachelor in town, Jim (Domhnall Gleeson). What happens next you have to see this wonderful movie! Oscar nominated screenwriter (An Education 2009; http://www.nickhornbyofficial.com/) Nick Hornby,, delivered yet another very good film adaptation of the book. The dresses in the movie were lovely. I would give film 5 stars as I was glued to the screen till the end.